Gear S3 Classic: How do I manage notifications on my Samsung Gear S3 Classic (SM-R770)? 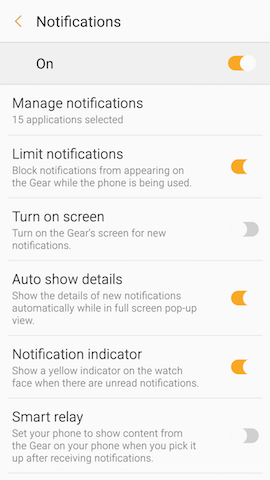 You can choose when notifications display on your Gear S3, as well as which apps can send notifications to it. You can also determine how much information they display on the screen. 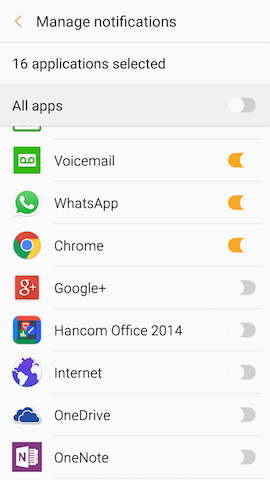 Note: The Samsung Gear app may be located in the Samsung folder on some devices. Note: Touch the slider at the top of the screen to turn on notifications if they are currently turned off. 6. 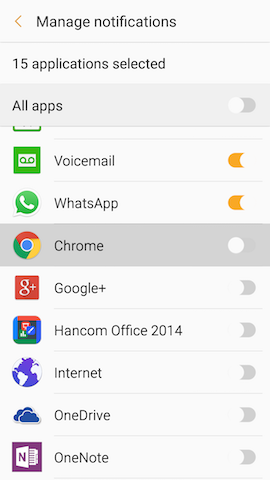 Touch the slider next to All apps to turn on or off all app notifications. Touch the sliders to turn on or off notifications to your Gear S3 for each app. 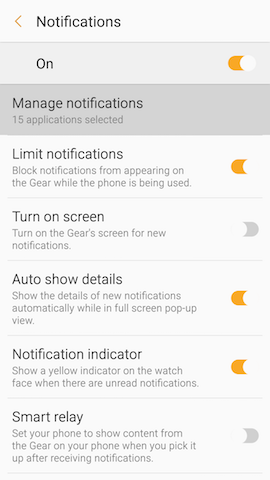 • Limit notifications: Block notifications from appearing on the Gear S3 while the phone is being used. 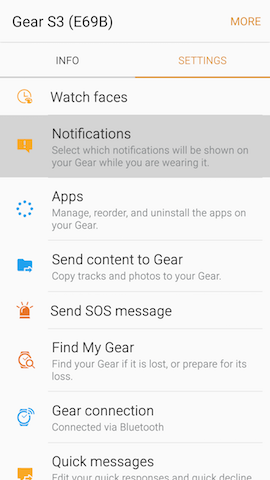 • Turn on screen: New notifications turn on the Gear S3 screen. This feature may decrease battery life for your Gear S3. • Auto show details: Displays details of new notifications in the full screen pop-up view. 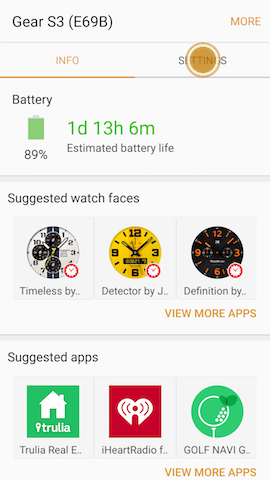 • Notification indicator: Displays a yellow indicator on the watch face when there are unread notifications. • Smart relay: Content from your Gear S3 will display on your mobile device when you pick it up after receiving notifications.